Uber has chosen Bengaluru to be the location of its first engineering centre in Asia. India is Uber’s 2nd biggest and largest growing market , and an engineering base in the Silicon Valley of India would be crucial to the company’s operations and fixing India-specific problems, which include low connectivity, congestion and improving the accuracy of the estimated arrival time. 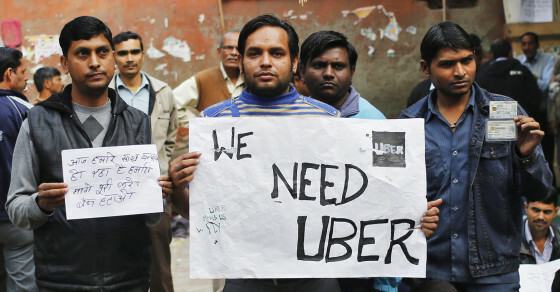 Uber says it aims to attain 1 million rides daily in India within six to nine months. An industry source estimates that Uber now records 200,000 trips daily. File photo. Used for representative purpose only. “India market is becoming really really important to us, so we had to build a engineering centre here”, Uber CTO Thuan Pham said. “We cannot imagine the local challenges and conditions sitting in our headquarters in San Franscisco. Our team in India will help us work more efficiently for localised problems,” he added. While Uber has operations offices in all major cities it operates in, including Bengaluru, Hyderabad, Pune and Gurgaon, it only currently employs 7-8 engineers in India. Uber’s preference for having a small team and scrappy operations is well-known. Foreign MNCs like Amazon, Microsoft, Google and Facebook already have large engineering support based out Bengaluru. In July, Uber had announced its plan to open the largest Non-US office in Hyderabad and committed $50 million in setting up the centre to train its driver and customer support staff.